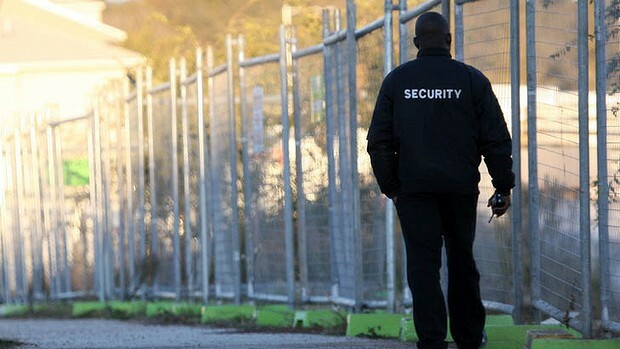 It is not difficult to get a job of a security officer. You will compete only with a few other applicants (or you may be the only person who interviews for the job on a given day), and unless you fail to make a good impression on the interviewers (in terms of your attitude to work, responsibility, and motivation to do the job), they will hire you. Below you will find some questions you can expect to hear in your interview, and a brief suggestion on how to answer each question. Q: Why do you want to work as a security officer? There isn’t anything special about this job, and exactly that makes the question more difficult as it is with other occupations. Nevertheless, you can tell them that you feel like the right candidate for the position. Say them that you enjoy working in the night, or that you have had the same job before, and felt good doing it, on a day to day basis. Alternatively you can bet on honesty. Say them that in the current stage of your professional career (still studying, on decline, going through a difficult period, looking for a quick buck and easy job), or in your present living conditions, you basically need any job. Security officer happens to sound like a good choice, and so you decided to apply. Q: How would you characterize the main responsibilities of a security guard? You can either list the duties from the job description, such as patrolling property, monitoring surveillance equipment, permitting entry to the building, etc, or you can summarize the job in one sentence. In the second case, you can say that the main responsibility of the security guard is to keep the workers (customers) and the property safe from criminal activity, and from any other disaster. Show the interviewers that you understand your job, that you know what will be expected from you, and see the meaningful purpose of your work. Q: Do you have any experience with this job? This becomes an easy question if you have experience. In such a case, tell them that you enjoyed the work, and would like to have the same role again. You can even narrate a difficult situation you had to handle in your past occupation of a security guard–facing a burglar, helping to extinguish a fire, etc. If you do not have any experience, however, try to emphasize that you know what is expected from a good security guard, and are not afraid of the job. Tell them that you are eager to learn, and believe to handle your duties well from the get-go. Show confidence in your skills. Show motivation. Everyone has to start their career in a given field someday, and there is no reason why they’d screen you out, just becasue you have no experience with security work. Q: Can you imagine working sixteen hours in a single day? 12, 16, or even 24 and 48 hours long shifts are nothing unusual in various types of security officer jobs. This varies from one country to another (or even from one city to another), and the length of the shift depends on the nature of the job, and the legislation in a given country. Some shifts in warehouses or low-security level distant-located detention facilities can extend to 24 hours and beyond. Anyway, when they ask you about long shifts, the chances are high that such shifts belongs to the job. Say that you are ready for staying long in work, that you can maintain high level of concentration and awareness for a long time, that you won’t fall asleep in work :). Q: How do you feel about carrying a gun, or shooting? Employers do not want you to use a gun, unless it was absolutely necessary to do that. You should not present yourself as someone who likes to shoot, or someone who likes guns in general–it’s just not the right impression to make in an interview. Q: What is your physical condition? You would hardly catch a burglar on his way out of the shop, if you were in a bad shape. Though we see many obese security guards in the retail stores around the US, the hiring managers still prefer to hire people who are in a good shape, people who care about their health and physical condition. Not only that these people are better guards, they also won’t miss many shifts because of being sick. Therefore you should tell the interviewers that you are in a good shape (or try to get to shape soon), and elaborate on your answer, describing how you try to keep yourself in an excellent physical condition. Perhaps you visit the gym, go for a run in the morning, or play football with friends two times a week… Anything is better than nothing. Interview for a security guard position does not belong to difficult job interviews. You will compete with only a few other people for the job, and you won’t face many difficult questions. Nevertheless, you still have to show the hiring managers the right attitude to work, and the right personality for this job. Follow our suggestions, make a good impression on them, and get a job. Continue your preparation with InterviewPenguin.com – Your Best Job Interview Coach since 2011. Body language in an interview – What do your gestures and movements say about you? Can we control our non-verbal communication? Our words stand just for a part of the message we send over. Improve your body language and you will improve your chances in an interview. How to dress for an interview – Four rules to consider when choosing clothes to wear. A simple guide that will help you with your interview attire.